Your backup is only as safe as the cloud that contains it. With BluPointe, many customers choose a hybrid approach where one tier of backup is on the premises and another tier in the cloud. On the cloud side, BluPointe has five state of the art data centers around the in North America 3 in the United States and Two in Canada – with more to come. However, with BluPointe you can pick where your data is stored if you have particular geographic or security needs. Data centers in the United States and Canada are SSAE16 SOC-1 Type II compliant, which means they can be audited based on internationally approved standards. The data centers used by BluPointe are secured to the highest possible standards. The secure data center locations are constantly guarded by highly trained security officers around the clock, 365 days a year. Physical security also includes the use of CCTV monitoring. And the centers are kept up and running thanks to backup generators. Data, meanwhile, is stored on redundant arrays in case of a disk failure. And every BluPointe data center is either SSAE compliant or ISO certified. The quality of your cloud backup depends in large measure on the robustness of the data centers that contain it. One way to measure this is through certifications, and BluPointe data centers have plenty. In the United States and Canada, for instance, data centers are all SSAE16 SOC-1 Type II compliant, which means they can be audited based on internationally approved standards. And every BluPointe data center, no matter where in the world it is, is either SSAE compliant or ISO certified. Your customer takes the security of their data seriously. So do we (and so do you). 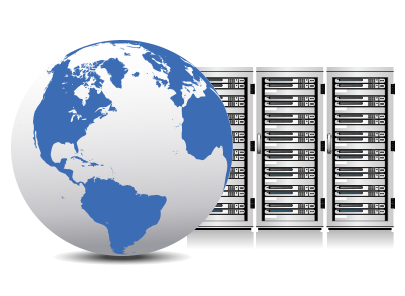 By providing storage in geo-specific world-class data centers as part of your customer’s backup solution, you not only ensure the security of your customer’s data, but also their trust in you.